A new 2.5 form entry primary school, with nursery and community provision. 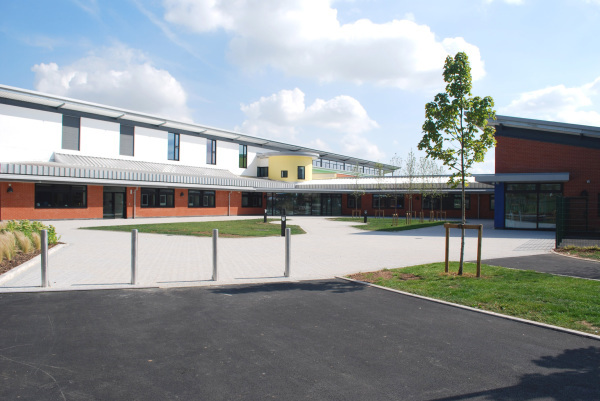 The school is situated in Chelmsley Wood and forms part of a regeneration programme for North Solihull. 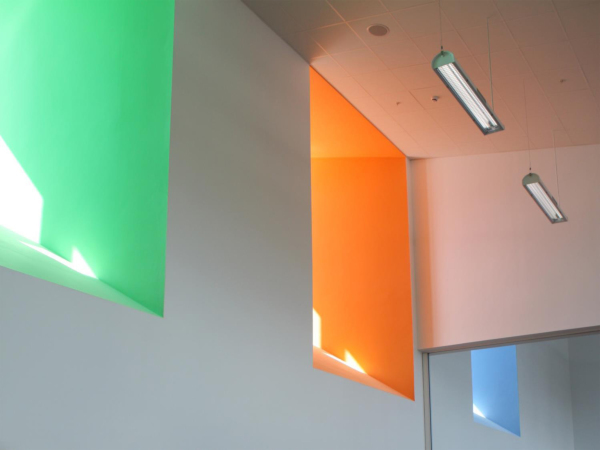 The new school brings together primary teaching facilities, a private nursery and community facilities. The teaching accommodation is arranged into three distinct teaching phases. Adjacent to the school site is a large Primary Care facility, there are also some shops nearby. It is the Local Authorities ambition to make this area into a ‘village centre’. The approach to the school reflects this ambition, with a large public courtyard space, enclosed on three sides, to the front of the school. Beyond the public courtyard is a private teaching courtyard. The teaching provision is set around this space. Phase 3 is set on the first floor, and opens out onto a teaching terrace. 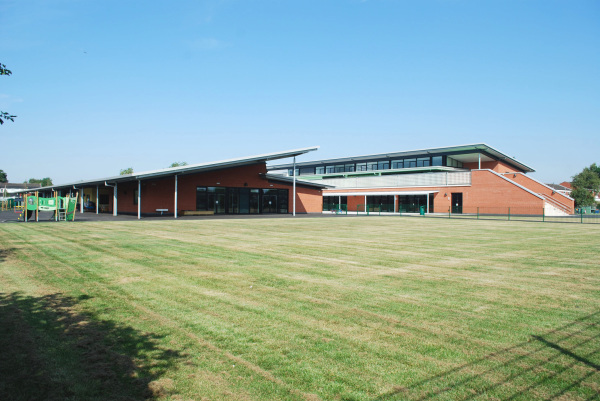 The building has low pitched roofs with overhanging eaves to provide shade to the extensively glazed classrooms. Constructed in masonry, the building has high thermal mass to regulate internal temperatures, there is natural ventilation throughout.